There is a lot to speak of Shiva. 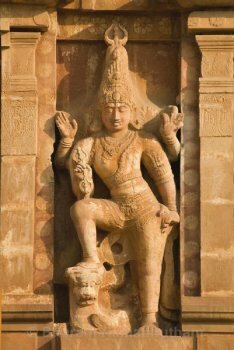 Indian dance, Bharatanatyam in particular, is so completely intertwined with Shiva and his monumental mythology. I have been watching Sivam, the Tamil version of the Hindi serial Devon ke Dev Mahadev. A marvel of the myriad Shiva myths, it has been produced with devotion indeed! And then... I wonder... Are dancers watching this? I hope they are. However, I have some reservations about them seeing this serial. Why, the reader might ask. The answer is simple. I am wary of young dancers who are clever and eager to do many new things, assimilating all ideas and pouring it all out in their dance rather indiscriminately as a dramatic narrative. The old and not so old Pada Varnams are mostly in praise of Shiva because they have their musical origin in the Tanjore Court which was ruled by kings who were ardent Shiva devotees for centuries. There is a perfect context in dancing those Varnams with special references to Shiva. Nattuvanars of yore knew which myths and stories were suitable for a particular Varnam and taught these little narratives in what I got to know as Sancharis. The allusions were brief and to the point. Alas, in the last several years there has been too much laissez faire in Varnam choreography. Any narrative, as long as it is done dramatically will do for the stage... or so it seems. The sringara theme of Varnams is unquestionable. They are period pieces originally meant for court performances in which Devadasi dancers excelled. They knew the music, its nuances. They identified with the lyrics however lofty or plain, and the idea of juxtaposing the text with sparkling korvais (pure dance sequences) in complex rhythms was central to the structure of a Varnam. In this set up, the Nattuvanars were the masters. Their idea of what should be done and what not was crystal clear. They also knew how a Varnam should be sung. The mood as thought out by the composers was predominantly a mix of Sringara and Bhakti. Wherever elaborations on the theme were included they had to be appropriate. No unnecessary drama here! Scholars have endeavoured to analyse the old Varnams. Their structure is set to blend nritta and abhinaya. The perfect balance made the Varnams eminently watchable, and engrossing. The love of Shiva is not incidental. It is the core of the piece. The rasa to be focused on is shringara. Shiva and his many leelas are incidental. Therefore, the selection of mythological narrative within a Varnam has to be carefully crafted. Thus, aspects of Shiva which do not blend with the elements of a longing devotion and love must be eschewed. Nayika bhava which endorses that all humans are women longing to be one with the Lord must be understood by the dancer. A common example is the arrows of Manmatha and the episode of Kama Dahanam one often sees in a Varnam in praise of Shiva. 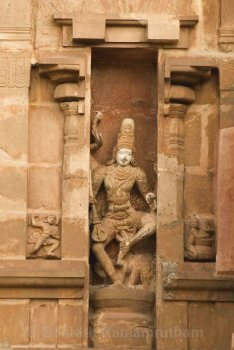 A prolonged battle sequence, or a long drawn out enactment of the killing power of Shiva, or an acrobatic chase by Manmatha armed with those flower weapons, merely gives an impression of a busy stage. In the process, the nayika is almost forgotten by the viewer (the dancer has also forgotten her), while Shiva as envisaged by the composer is made redundant, and the overall mood is one of ludicrous exaggeration. More elaborate stories which do not fit the context of the Varnam are often depicted. Ranging from Lingodbhava, to Kalasamhara, and even Bikshatana, all the avatars of Shiva come dramatically alive on stage. The Varnam with its simple lyrics extolling a time and place for the heroine's longings, is cast aside. The singing accompanist breaks into a meaninglessly long "neraval" of sorts in earnest exhibitory mode. The dancer is on overdrive, showing demons, lightning, floods, etc. The audience is in an unwilling stupor, wondering at the awesome stamina of the dancer doing so many things simultaneously like a juggler. The only rasa evoked is adbhuta or wonder, sometimes karuna for all the sweat, and at times bhibatsa for the singer's audacious murder of a great piece of music. Such rich tinsel displays are applauded by the innocent and the ignorant. Myths and legends have to be contextualised in dance. The choice of what is appropriate was never a problem when Nattuvanars guided dancers. A better understanding of the dictum less is more, will put Varnams back on the pedestal they deserve. There is always room for innovation within a framework of aesthetic compatibility. Dancers may be free to choose from the vast treasure trove of myths to compose their pieces. New compositions perhaps can be commissioned and treated with fresh episodes specific to the lyrics. As for the old Varnams....my suggestion to dancers is.....there is no need to show that you know all about Shiva. You must have a clear idea of the basic theme and mood of a Varnam and rein in the narrative to suit the core idea intended by the composer. Bank on the beauty of the music of the Varnams, and elicit appreciation for an involved exposé of descriptive moods. Punctuate the lyrical aspects with crisp nritta which does not disturb the sthayi bhava. Then alone will the audience stay put to cheer a gem of a piece in our traditional repertoire.